Take your bike lane with you! 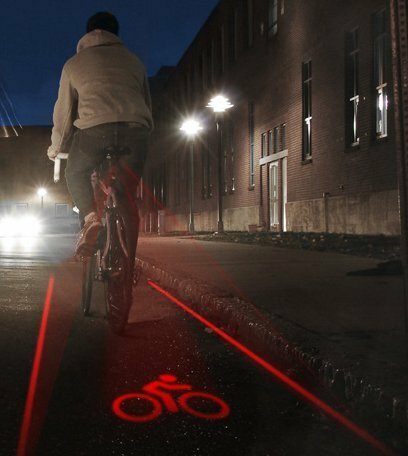 It might not be as good as the real thing, but this laser light projection of a bike lane gives drivers a clear visual cue of the space that you need as a cyclist. Read the full article, Bring the bike lane with you with LightLane, at dvice.com. A small minority of comments on dvice.com are scathing, dismissive and threatening. but the vast majority are highly supportive.